These activities packs contain information including fact sheets about relevant animals, and background information on the topic. To help you plan your route around the zoo (for a visit themed around one of these topics), the packs also contain a map showing suggested animals to visit as well as which Keeper Encounters would be best to attend. The packs also contain a range of activities, include pre-trip and post-trip activities designed to be completed in your classroom as well as worksheets to print out and have pupils complete during their visit to the zoo. Please note, we suggest you pick and choose which worksheets would work best for your class and your topic, as each worksheet is independent and can be completed without completing the others. Click on the age range/KS level after the topic to open the pdf pack in a new tab. If you are visiting the zoo as part of a fun day out, enrichment day, or end of term treat without a specific topic, but want your students to focus on completing fun activities around the zoo, we also have an Exploring the Zoo Activity Pack (click to open in a new tab). This pack is designed for KS3 groups, but can be adapted to suit your students’ needs. These resources have been developed to help teachers focus their trip to Colchester Zoo on the STEM subjects. Many of the above activity packs include a variety of activities focused on biology and other animal based topics. This activity packs focus on the wider ranges of STEM at the zoo and includes pre and post trip activities as well as worksheets and activities to complete at the zoo relating to engineering, structural design, developing hypothesis, physics, medicine, and lots more! These activities are designed on a range of topics and best suited to KS2 and KS3 groups. Many of the worksheets and activities in the STEM pack contain some maths work. If you want to focus entirely on Maths, the Maths Workbook provides a more in-depth worksheets encouraging the use of different mathematical skills, particularly estimation, graphing, measuring, and real world problem solving. There are a variety of independent worksheets and activities in the pack for a range of ages from KS1-KS4. Please pick and choose which worksheets to complete based on the level of your students. We have produced a downloadable visual social story (click here and the social story will open in a new tab). This has been designed with the intent of helping caregivers of individuals with autism and other specific needs make the most of a visit to Colchester Zoo. It can, however, be utilised by anyone. We have two downloadable sensory trails designed to help you explore the zoo. There is a longer version which includes exploration around the entire zoo (click here and the long sensory trail will open in a new tab). There is also a shorter version which focuses just on exploring the Familiar Friends farm section of the zoo (click here and the short sensory trial will open in a new tab). 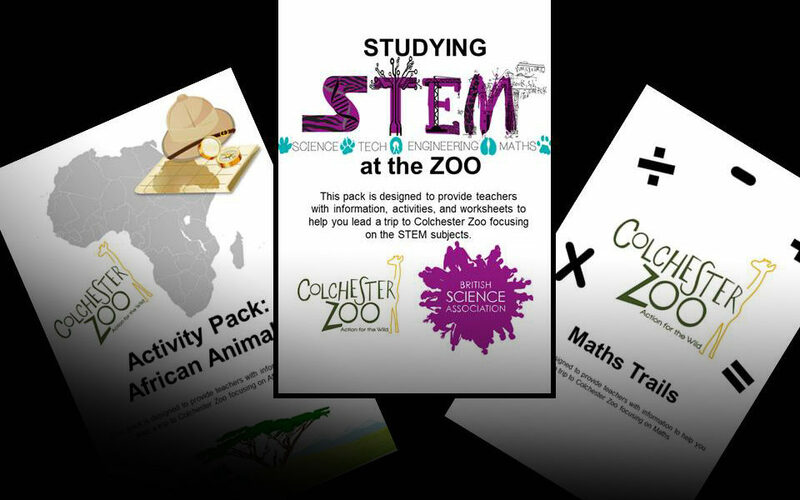 This activity pack is aimed for students visiting Colchester Zoo as part of a Business or Travel & Tourism unit of study. The pack activities relating to business and tourism course work, including worksheets and research to complete at the zoo, as well as follow-up activities for back in the classroom. We also recommend looking at our Business and Tourism information pack, which has more in-depth information about the zoo’s operations. These packs are designed to provide parents, families and groups with information and activities to help you learn while visiting Colchester Zoo. As an approved Children’s University learning destination you can also complete the activities in the pack to earn Children’s University passport stamps! See inside for further details. Download and print these activity packs yourself. There are three different packs, you can mix and match and complete worksheets from all the packs. Please note, you can earn a maximum of 6 hours per day by completing worksheet pages. These resources are designed as take-home follow-up activities after children have attended an educational session at Colchester Zoo with their school class (African Animals, Saving Endangered Animals, or Rainforest Animals). Please note, in order to qualify as Children’s University hours these workbooks should be completed outside of school hours (either at home, or as part of a before or after school club). Details of your hours will then be sent to each child to paste into their passport.